Leading regional energy groups Oman Oil Company and Kuwait Petroleum International have signed a $4.61 billion multi-source project financing deal for the development of the 230,000 barrels per day (bpd) refinery project in Duqm region of the sultanate, said a report. The Duqm Refinery Project comprises the development, construction and operation of the refinery, on-site utilities, infrastructure and storage, together with offsite facilities including crude tank storage facilities in Ras Markaz, an 80-km crude oil pipeline to the refinery and a product export terminal at the Port of Duqm. The refinery is designed to be able to process a range of blended crude oils and is configured as a full-conversion hydrocracker/coking facility, which will utilise advanced technology, commercially proven at the scale of the project, supplied by leading technology licensors, reported Times of Oman. The engineering, procurement and construction of the project are being undertaken under three lumpsum turnkey contracts with world-class contractors. It is the largest project financing in the sultanate provided by 29 reputed financial institutions from 13 countries and insurance and guarantees (cover) provided by three major Export Credit Agencies, it stated. It comprises an international commercial facility, an onshore commercial and an Islamic facility besides a United Kingdom (UKEF)-covered, a Spanish (CESCE)-covered, a South Korean (K-EXIM) covered facilities along with a K-EXIM direct facility, said the report. 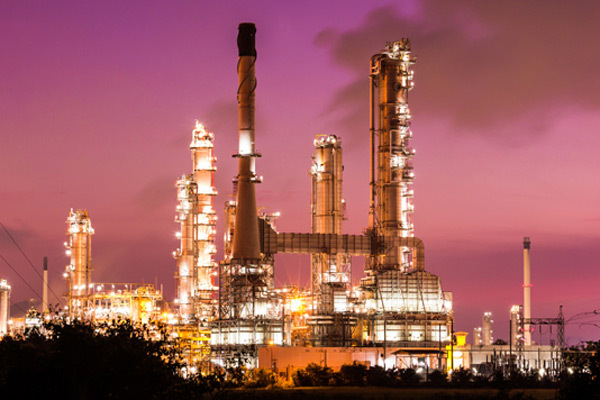 The project, a joint venture between Kuwait Petroleum International and the Oman Oil Company, is located in the Special Economic Zone in Duqm (Sezad) along the south east coast of the sultanate. The Duqm project, which is of strategic importance and a priority national investment for Oman, is also the first in other aspects. It is the first major cross border refinery project in the Middle East region and is also the first joint venture of a refinery project in the region between government-owned oil companies of two Middle East countries said the report. In addition, it is the first refinery in the Middle East to process crude from another Middle Eastern country on a long-term contractual basis, it added.